Taking its inspiration from a beautifully crafted grand piano, Highpark Seasons’ stunning design is finely tuned to embrace every season. Each boutique configuration, designed with fluidity, allows for an unfettered connection to the development’s lush surrounds, opening up a whole new kind of urban living. Introducing Highpark Seasons, where sculpted walls of glass reflect the colours of the environment and the shifting moods of the seasons. The building’s free-flowing curves follow those of the landscape. Integrated across the six-storey property, expansive one-, two- and three- bedroom apartments and townhouses enjoy uninterrupted views that intensify the connection with nature. Highpark Seasons is acclaimed Rothelowman architecture at its inimitable best. At the forefront of design-led innovation since1991, the practice's commitment to embrace a timeless vision that redefines contemporary urban living finds perfect expression at Highpark Seasons. This vibrant and diverse residential property is one of a kind—a striking example of modern architecture blending seamlessly with nature to create something fresh and memorable. Highpark Seasons' distinctive multitiered design offers a vast array of living arrangements for all lifestyles, particularly for those who appreciate the Australian landscape and outdoor living. Moreover, while each apartment feels beautifully removed—like a holiday in the hinterlands—the development boasts easy connections to the heart of the city. The haute-couture shops at Armadale’s High Street and Australia's largest shopping centre, Chadstone are a mere short distance away. Commanding beautiful park and neon city views, Highpark Seasons rises to meet every expectation of the most discerning owner-occupier. Backing on to a nature reserve, residents will enjoy the rejuvenating benefits of living in the company of abundant trees— not to mention Gardiners Creek, which flows directly behind the development on its way to join the Yarra River 4km downstream. The location's allure goes way beyondeveryday park-fringe living; here, peace and privacy coalesce with a connected urban lifestyle, delivering the best of both worlds to residents. What makes Highpark Seasons even more desirable is its stature as one of the last inner-Melbourne locations overlooking a nature reserve. Fully protected from future development, the nature reserve itself becomes an extension of the private residences’ homes —an urban sanctuary never to be built out. 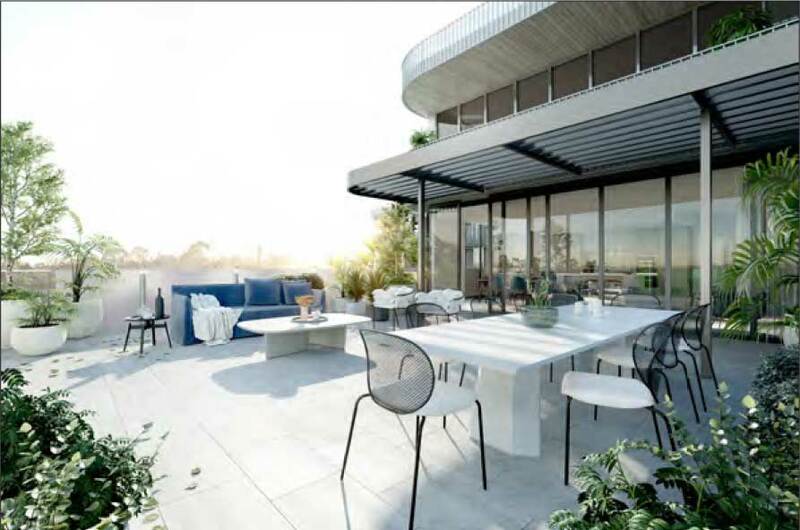 As part of the City of Stonnington—in the company of Melbourne’s most prestigious suburbs such as Armadale, Glen Iris, Malvern and Toorak—Highpark Seasons joins a proud and polished community. Being in one of the world’s most liveable cities, the urban sanctuary of Highpark Seasons is just 20 minutes’ drive from the CBD. It is also about 200 metres from fast train and tram links that make easy work of the daily commute. For the cyclists, the scenic Gardiners Creek Trail unfolds on the development’s doorstep inviting a cruisy business commute or leisurely bike ride. On weekends, the picturesque trail invites creek-side walks to the Yarra River, and beyond to the CBD. The meticulously crafted Rothelowman design is perfectly complemented by the bespoke interiors with elegantly and beautifully resolved spaces. The play of sunlight on the floor to ceiling glazed windows highlights the refined designs within. Softened by the glow of smart lighting, the beautiful spaces create an unrivalled sense of freedom, comfort and warmth. The efficient yet elegantly designed floor plans integrate smart storage solutions and added lifestyle flexibility. The more expansive three-bedroom and townhouse designs have options of bespoke joinery modules to create a signature bar or study area. The subtle natural interplay of finishes and fittings incorporates a sophisticated blend of natural stone, oak floors and European appliances. In keeping with the seamless indoor-outdoor lifestyle, the interior extends gracefully out to the private landscaped outdoor courtyard or balcony. In collaboration with an internationally renowned team of architects and interior and landscape designers, Pasino draws inspiration from the arts, music, and culture to inform intelligent designs that are as functional as they are poetic. The Melbourne-based developer takes enormous pride in delivering this premium residential development. One that meets the exacting standards of owner-occupiers and sophisticated investors; specifically, impeccable quality, optimum comfort and superior liveability.